Talention: What do you see as the biggest challenge in candidate sourcing? Actually, there are two big challenges. On one hand, you should pay attention to increasing the population of the identified persons at the beginning and it is important to find as many candidates of similar quality as possible, be it through LinkedIn or elsewhere. If possible, these should also be candidates that your competition hasn't found yet, so that you have a competitive advantage. In the next step, these candidates are then further qualified so that the best matching candidates remain. Next, a positive response rate plays a role. Candidates should respond positively to your approach. You need something that really interests them. In this case, I am talking about a hypothesis that a sourcer must consider in advance if they are to be successful. The starting point should be the question: Why should a candidate want to change employers? These are the two most important tips I can give you. One is to increase the number of candidates in your pool and the second is to prepare a successful speech. Talention: What does employer branding have to do with sourcing? I have conducted research on how the response rate relates to company size. The basic assumption behind this was that large companies are better known and therefore it is easier for them to approach candidates and thus achieve a higher response rate. It turned out, however, that this is not as it was thought at first. There is no correlation in my research that said that a higher number of employees also means a higher response rate. That's because when you talk to someone, you're not competing with the big players in the industry, you're competing with the candidate's current workplace. If in that case the hypothesis of the message of why they should change companies is good, then there is a chance that the candidate will look at the message and the response will be positive. In this case, the candidate may not even look at what other companies have to offer them. In my experience, the job has to be interesting first and the company second. Talention: What do I have to pay attention to when addressing the audience for the first time? I always say you have to start by stroking their ego. You need to explain why you think a person is good for the role, why they would fit in well, and what they can do with their knowledge in the new position. In the next step you should encourage an exchange, i.e. provide contact details and offer another conversation. A decisive factor is the email subject line, which is what will determine if the message is opened in the first place. Of course, this line must support the hypothesis. The problem with some social network sites, for example, is that you no longer have a subject line due to their current messaging format. This is often a hindrance during the first point of contact. In sourcing, unlike a job advertisement, the hypothesis must be correct. Why should anyone change jobs? Why should someone want to change jobs? You should think about these hypotheses before addressing them. Sometimes the question comes up in my seminars: How do I get rid of candidates once I have addressed them? In some cases it may happen that the candidate does not fit the profile, but is still interested. In this case, I answer that you should honestly tell the candidate that you have determined they are not suitable for the current position and let them know you will contact them later if there is something suitable in the future. Talention: How has digitization influenced sourcing? Candidate sourcing was digital from the beginning, if you leave out offline sourcing. This was especially the case with portals such as LinkedIn. There will certainly be improvements within the scope of digitization. For example through AI finding candidates, matching, or automation. In the field of automation, for example, there are already personalized approach suggestions today. At the push of a button, information relevant to the position is read from the corresponding profile, and the address created can be sent hyper-personalized immediately. Talention: Where do you see the biggest challenge in recruiting as a whole? Overall, the biggest problem is matching supply and demand. We now have an applicant market, in contrast to the employer market of the past. If applicants today look for job portals that offer only 5% of the available jobs, this is not optimal and efficient. On the other hand, it is also not good if employers place jobs on portals that applicants or job seekers do not like. That is likewise not optimal. In this case there is a lot of optimization potential and these are also the biggest challenges. Talention: What do you think will be the next big trend in recruiting? I see a trend in the fact that in the future more and more tools and other aids will be available. which will improve this gap between supply and demand. Initial solutions show, for example, that AI can be used to automatically search through potential candidate profiles and match them with suitable job ads. Or if chatbots are placed in addition to job advertisements and thus increase the effectiveness of the job advertisements. Or when algorithms are used to improve the understanding of which recruiting channels bring in the best people at the lowest cost. Then these are all improvements around bringing together the topics of supply and demand. Another trend is the topic "human to human". In the future it is conceivable that especially the highly sought-after talents, for example in the IT and engineering sector, would prefer to be contacted personally by their own career coach rather than by a collection of technical tools. Recruiting events on specialist topics, such as a hackathon etc., can also be a good first "soft" contact. In the future I also see a division in the recruiting team, similar to the banking business, where there are specialized private client advisers. There will also be people in the recruiting team for the masses and specialist "private recruiters" who are responsible for the personal contact. Talention: What is your #1 tip for successful candidate sourcing? I have a few more tips for you. First of all, sourcers have to be well trained. This is not a job for students or interns. They need to be equipped with professional tools so that they can do their job well. Creativity should be encouraged because sourcing is not a job you can do on a flow chart. Rather, you always have to find new ideas and stay tuned with where the right people could be. In addition, as already mentioned, the basic number of potential candidates at the beginning of the search is important and thus finding candidates that others don't find. As a sourcer, you should go beyond LinkedIn and use talent search engines or semantic searches to find additional good candidates. In the next step, the approach should be optimized with regard to personalization. Experience shows that most candidates are annoyed when they get "recruiter spam" that is not personal and irrelevant. You should find a balance between personalization and effectiveness. You should analyze what works and what doesn't. This is where the keyword "data driven recruiting" comes into play, i.e. using knowledge to continuously improve. I also offer a "Candidate Sourcing Check" on this topic. Here everyone can see where they stand compared to 100 other recruiters when it comes to sourcing. In addition, my current "Sourcing Report 2019" will probably be published in March. You can already pre-order it today. 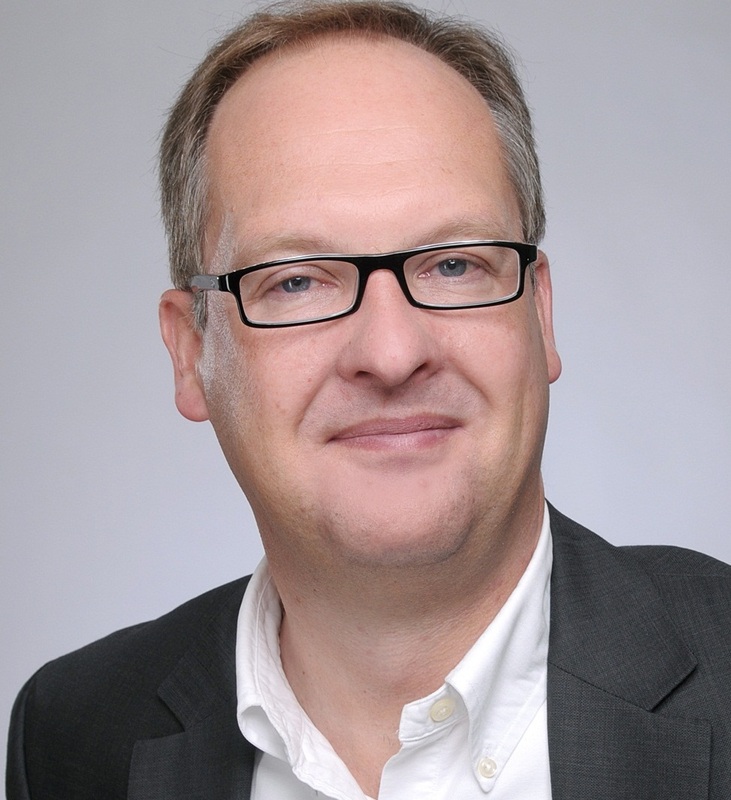 Wolfgang Brickwedde is head of the Institute for Competitive Recruiting (ICR), Heidelberg. The ICR supports and advises companies in improving the results of their recruiting processes with the aim of increasing their competitiveness in the battle for talent. The ICR forms a platform with the aim of improving recruitment in Germany as a whole. Studies on the status of recruitment (ICR Recruiting Reports) and benchmarks on the use and satisfaction with recruiting solutions such as job exchanges or applicant management systems are carried out. In 2013, the ICR published the first Sourcing Report in Germany. The ICR also founded the RecruitingJobs.de job exchange and introduced CandidateReach, the first multi-channel posting specifically for SMEs in Germany. In 2015, the ICR succeeded in bringing the renowned Candidate Experience Awards to the DACH region. In 2017, the ICR presented the first-ever Sourcing Awards. Wolfgang Brickwedde has already trained hundreds of recruiters in his practice intensive seminars in sourcing. Until the end of 2009, Wolfgang Brickwedde was responsible for recruitment and operational personnel marketing in the EMEA region at SAP. Prior to joining SAP, Mr. Brickwedde held various management positions at Royal Philips Electronics in Employer Branding, Recruitment and Management Development for various countries. Would you like to learn more about sourcing? Talention Software offers a special Sourcing Tool. We will be happy to give you tips on how our Sourcing Tool can help you build a pipeline of candidates. Request a free demo today.